Every couple of weeks (or thereabouts), one member of the Paperight team will write about a book he or she bought and printed at a Paperight outlet, in order to get to know our products and outlets better and to ensure our team’s collective reading health. As I once said in an author profile on blog a few months ago, F. Scott Fitzgerald didn’t have much of a happy life. With an immense talent matched only by a propensity for self-destruction, Fitzgerald’s life very closely imitated his art. His best-known works are his quartet of finished novels, the most-loved of which undoubtedly being 1922’s The Great Gatsby, a novel that admittedly doesn’t have the most involved plot – a popular, nouveau-rich man throws a few parties, dotes on love unrequited, and is shot in his swimming pool – but, as per the Fitzgeraldian mode, is heavy on symbolism: the clash of old money and new, of raining ash and glitter, and the seemingly omniscient eyes of advertising billboards silently watching over a proxy world for the Jazz Age that Fitzgerald concurrently loved and hated. 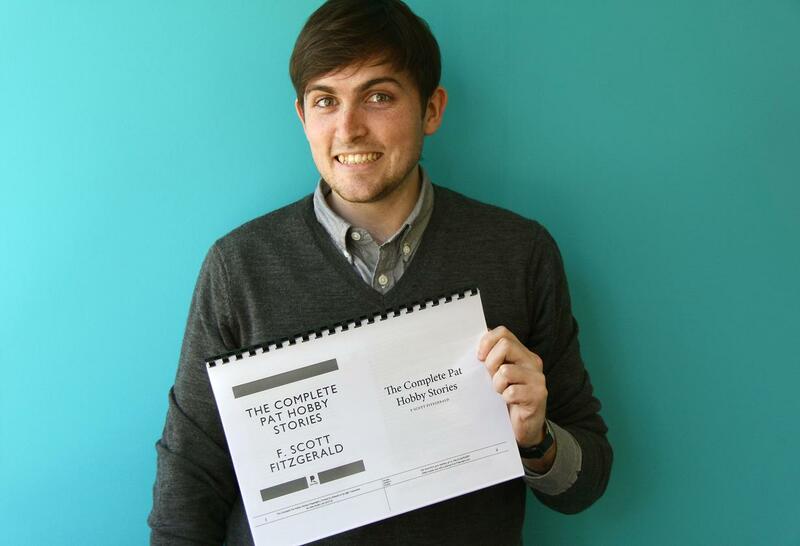 Fitzgerald’s life was notoriously troubled, and it didn’t have a happy end either. At the time of his death from a heart attack at the age of 42, he considered himself a failure. His books had not yet garnered the legendary status, the motion picture reboots, and the mythology that they enjoy today. He wrote semi-autobiographically: his tumultous relationships with fellow writers and the toxicity of his marriage to Zelda – a socialite and writer blessed with a tolerance for alcohol to rival her husband’s, but only a fraction of his literary talents – only heightened the sense of purposelessness in his novels, as well as his own feelings of inadequacy while trying to make money writing screenplays in young Hollywood in his latter years. Inwardly, Fitzgerald suffered in movietown – he found the work degrading, and suffered with tuberculosis possibly resulting from decades of heavy drinking – but the external manifestations of his internal strife were, much like the rest of his work, irresistibly entertaining. Not widely-known as part of the Fitzgerald canon, The Pat Hobby Stories are a collection of 17 short stories written somewhat nostalgically about his time in Hollywood, following the exploits and spiralling misfortune of a slightly above-average silent film screenwriter struggling in the newly-dawned motion picture age. Reduced to a skulking alcoholic, Pat Hobby is a figure of post-talkies desperation, seeking piecemeal work and concocting scams to secure him some screen credit and – ever the driving impulses in Fitzgerald’s work – love, fame and money. Typically, however, Hobby’s bungling schemes don’t work out, only deepening the erstwhile social climber’s misery and humiliation further. Fitzgerald’s fine-tuned senses of self-parody and perspective save the Pat Hobby Stories from becoming a series of tiny self-directed dirges. Driven by many of the same spirits as 2011’s surprise hit (silent) film The Artist, the Pat Hobby Stories lilt with black humour and wit, and collectively form a comedic, full-length portrait of the sort of man Fitzgerald might have been without the saving grace of his singular talent: a sputtering, disenfranchised hack kicking about the studio lot. Tragically, Fitzgerald might have thought himself more Pat Hobby than the Great American Novelist he really was, even after the successes of The Great Gatsby and This Side of Paradise, which was published in 1920. After a life of chronic ambivalence, a life then remembered less for its successes than its defeats, he died in the middle of the Pat Hobby stories’ run in Esquire magazine between January 1940 and May 1941. The run didn’t stop with his death: the final stories were published posthumously; effectively the first acts of his legacy, and his slow rise to the pantheon of literary greats. Great review. Taught me some stuff I didn’t know. Thanks. Previous Previous post: Everything you need to pass your Matric finals! Next Next post: Territory-specific distribution is live!